It's Happy Hour & we have been experimenting with some new cocktails! 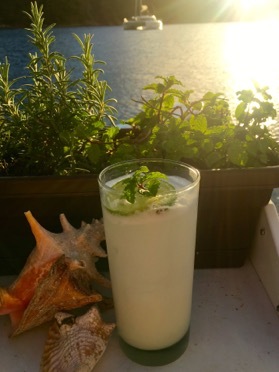 This one could be a keeper...Coconut Mint Mojitos with fresh mint from our herb garden. Oh Yeah!